Ever wonder who’s minding the shop? Meet Lisa Calle, the editor of the Moda Bake Shop Blog. 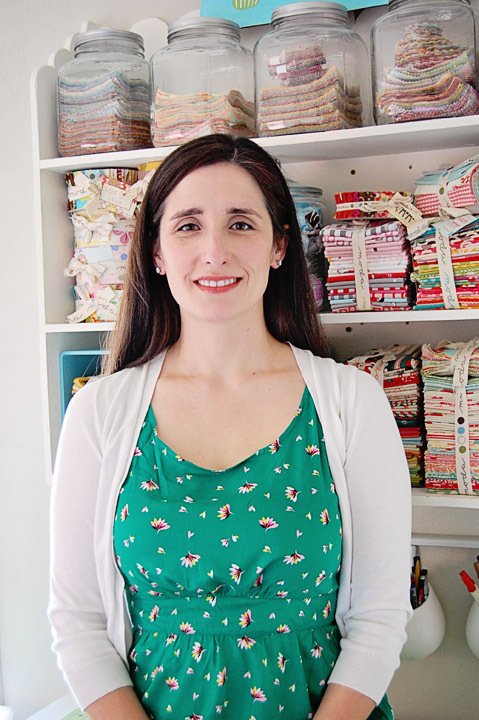 Lisa Calle signed up for sewing classes when she moved to Dallas, Texas, and was immediately hypnotized by fabric. “I loved it and soon had a stash, but I knew I couldn’t use it all making clutches and home dec items,” she says. 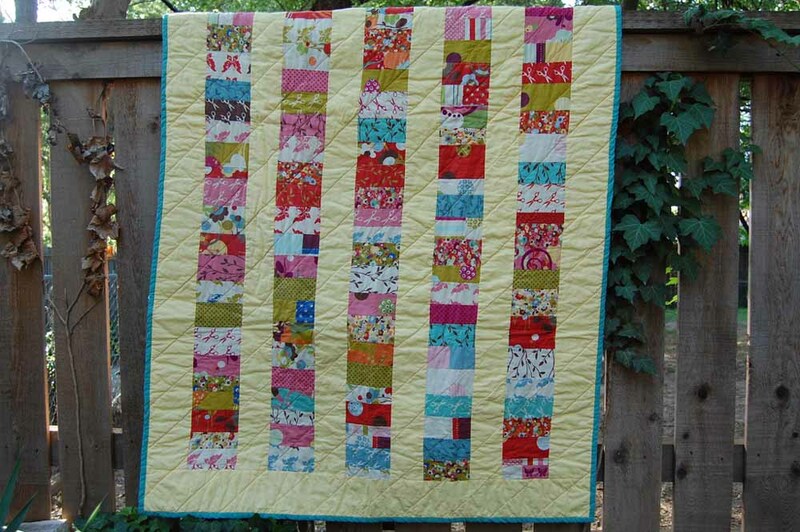 In an effort to reduce her stockpile, she stitched a quilt as a gift for her mom. 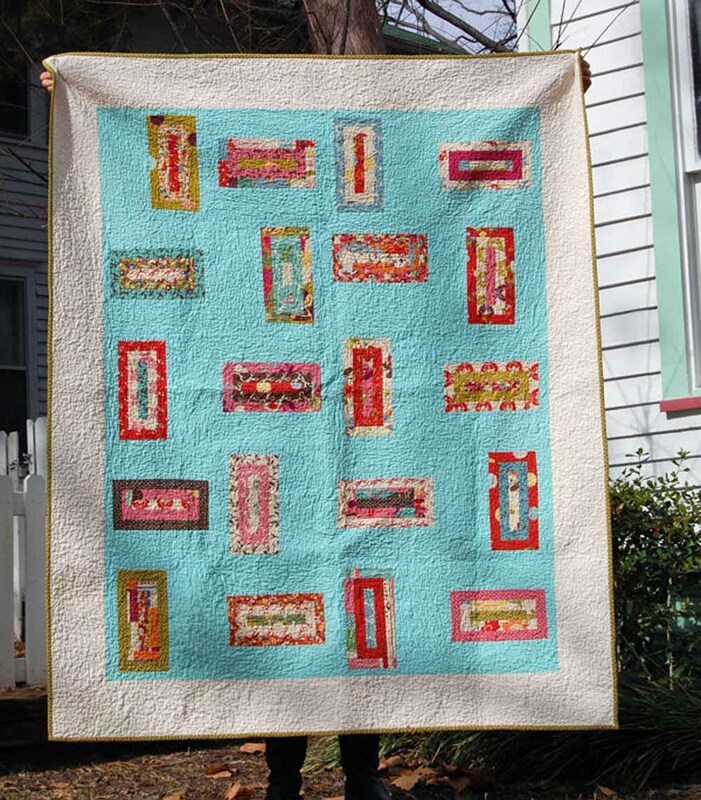 That was more than three years ago and since then she’s stitched quilts almost exclusively. Big plans are ahead for the blog. Currently there’s a “Show Us Your Stash” party, combined with a tour of Moda Bake Shop Chefs’ studios. In September, in honor of National Sewing Month, Lisa’s planning a rotary cutter rating system for Bake Shop projects. Those labeled with one rotary cutter are perfect for beginners—if you know how to straight stitch and backstitch, you can complete them—while three rotary cutter projects will include more challenging techniques such as blocks set on point or curved seams. In November and December the Bake Shop will offer a holiday gift series featuring 60-, 90-, and 120-minute gifts for sewers of all levels. Lisa encourages Moda Bake Shop readers to use the tabs at the top of the Bake Shop page to search for projects by Recipe (categories including quilts, bags and totes, apparel), Chef (the project designer), and Index (the month the project appeared on the blog). You can also follow the Bake Shop on Facebook, Twitter, Pinterest, and Flickr by clicking the links on the left-hand column of the Bake Shop home page. Hi Lisa, it is nice to put a face to a name. Thank you for all the work you do to make the Moda Bake Shop such a wonderful place for inspiration. Yay Lisa!!! 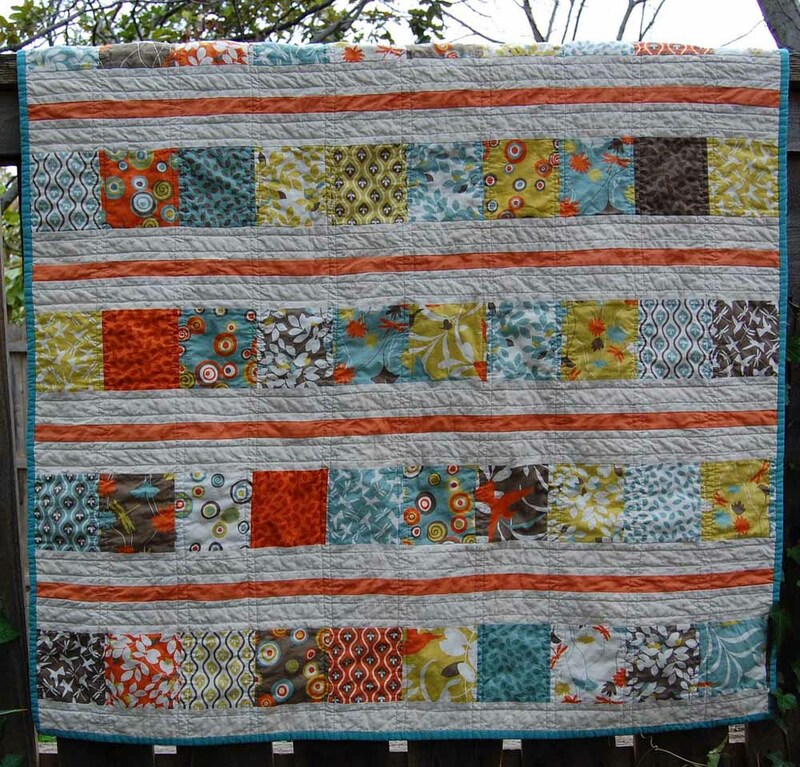 I love your quilts and you’re doing awesome on Moda Bake Shop!!! Hi Lisa! I love the MBS. Now how did I not catch that Oda May is pig Latin for Moda being fluent in pig Latin myself?! Thanks for all of your hard work on the Bake Shop Lisa…I’ve loved following it for years now! I love your quilts.You did great job.